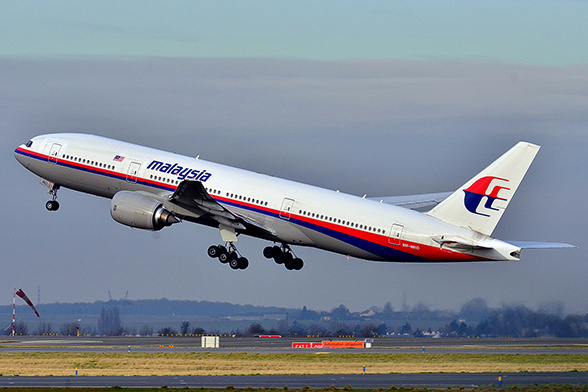 Just over three years since the disappearance of Malaysia Airlines Flight 370, the airline has signed an agreement calling for real-time, satellite-based tracking of its aircraft. The agreement provides for all Malaysia Airlines aircraft to have access to flight tracking data delivered by SitaOnAir’s AIRCOM FlightTracker, with additional data from Aireon’s automatic dependent surveillance–broadcast (ADS-B) and FlightAware’s multiple sources around the world, according to the mid-April announcement of the agreement. Capt. 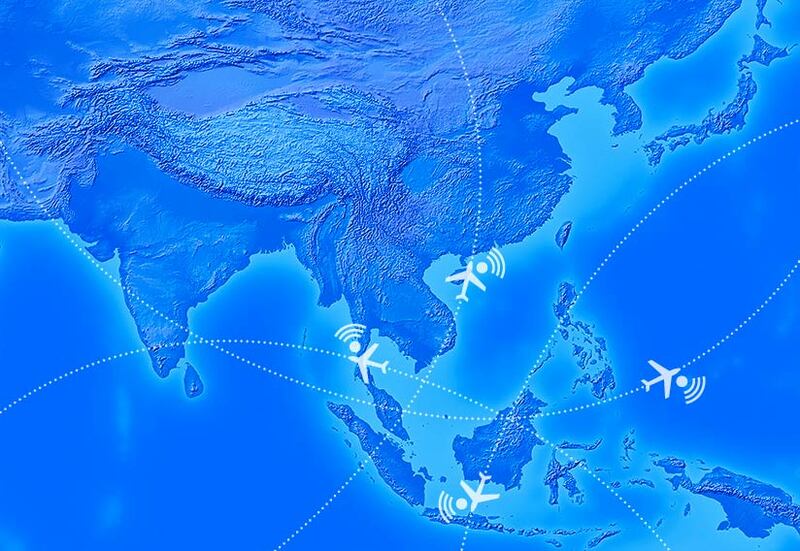 Izham Ismail, Malaysia Airlines’ chief operating officer, noted that real-time, worldwide tracking “has long been a goal of the aviation community,” and that the airline is “proud to be the first” to adopt this solution. Other airlines also have implemented satellite-based flight tracking using other systems. Qatar Airways said in late April that it already has activated real-time worldwide tracking using a satellite-based system supplied by Inmarsat. The tracking system is being used on all of the airline’s existing flights and will be expanded to cover all future flights, the airline said. The March 8, 2014, disappearance of Flight 370, a Boeing 777 en route from Kuala Lumpur, Malaysia, to Beijing with 239 passengers and crew, prompted not only an intensive search for the aircraft but also the adoption by the International Civil Aviation Organization (ICAO) of new flight tracking provisions. Those provisions call for airlines to adopt 15-minute tracking intervals beginning in November 2018. A stricter mandate will require one-minute intervals for airliner tracking beginning in January 2021. When the ICAO Council adopted the requirement in November 2015, it emphasized the operator’s “responsibility to track its aircraft throughout its area of operations.” The time interval will be a requirement for aircraft with a takeoff mass of at least 45,500 kg (100,309 lb) when flying over oceanic areas and as a recommendation for aircraft with a takeoff mass of 27,000 kg (59,524 lb). The 2021 requirement — adopted in March 2016 — calls for the autonomous transmission of information “from which a position can be determined at least once every minute when in a distress condition,” ICAO said. The time interval will be a requirement for new airplanes with a takeoff mass greater than 27,000 kg beginning Jan. 1, 2021, and a recommendation for new airplanes with a takeoff mass of more than 5,700 kg (12,566 lb). The 2021 requirement also calls for aircraft to be equipped with “a means to have flight recorder data recovered and made available in a timely manner” and for the extension of cockpit voice recordings to 25 hours. In adopting the new reporting requirements, ICAO cited the disappearances of two airplanes — Flight 370 and Air France Flight 447. Both airplanes disappeared during en route periods when their crews were not in contact with air traffic control and the aircraft were not visible on radar. The search for Flight 370 continued for nearly three years until it was suspended on Jan. 17, 2017, when the last search vessel left the designated search area in the southern Indian Ocean. In the years following the crash, search vessels had covered 120,000 sq km (46,332 sq mi) of the ocean floor, according to the Australian Transport Safety Bureau (ATSB), which has been in charge of the underwater phase of the search. That search focused on an area in the southern Indian Ocean that experts believed was where the airplane entered the ocean. That area — about 1,870 km (1,161 mi) southwest of Perth — is within the Australian search and rescue zone. The ATSB emphasizes that the search has been suspended, not ended, and that any decision to resume will be made by the three governments that have been involved in the effort to locate the wreckage — Malaysia, China and Australia. BEA. “Final Report: On the Accident on 1st June 2009 to the Airbus A330-203 Registered F-GZCP, Operated by Air France, Flight AF 447, Rio de Janeiro–Paris.” July 2012.